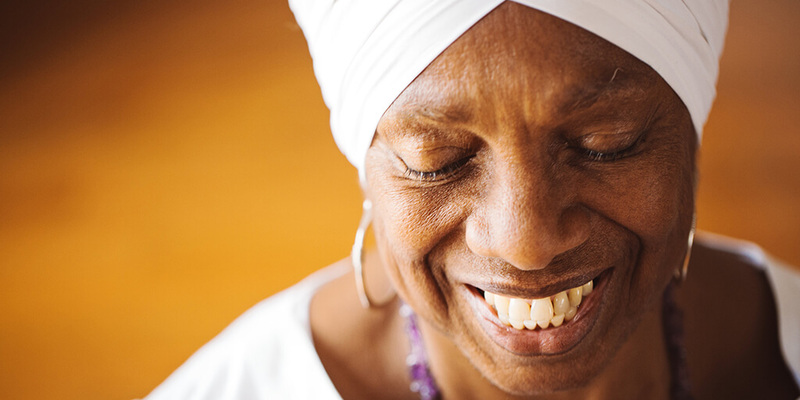 We asked Krishna Kaur–an original student of Yogi Bhajan and master teacher of more than 40 years–why she loves returning to Joshua Tree each year to teach at Sat Nam Fest. Her reply offers us inspiration to come together. Be one family. Observe how our connection gives us strength to continue on the spiritual journey. 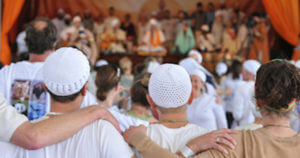 Sat Nam Fest gives our spiritual family a perfect excuse to come together at this time of year. Joshua Tree is a deeply sacred place. Throughout history, it has been home to so many native tribes. Over 800,000 acres of land, 5,000 years . . . first there were the Pinto, the Serrano, then the Chemehuevi, and the Cahuilla. These were hunting and gathering communities who lived in harmony with Mother Earth. They blessed every rock and tree with their sacred ceremonies. They survived the desert environment in a regal way. To their sensibilities the desert was a land of plenty. They made music that was full of life and spirit. Today, it is important we honor this history, infuse it into our expansive consciousness. It’s natural that Sat Nam Fest takes place in such a location that is energetically charged with spirit. When we’re at Joshua Tree; we feel it. The spirit residing here heals us. In 1936, President Roosevelt proclaimed Joshua Tree a national park. It’s as if the Land itself had the power to uphold itself as a natural treasure, unblemished by modernizing and trampling. When we chant and sing here, we build on this spirit. The trees themselves are wonders to behold. Beyond the trees, there is something in the land that we kindle with music spirit. It is as though our thirst for the world to be more connected to Spirit is quenched by being able to drink in sacred sounds on this sacred land. We are able to share with people all over the world everything represents the village of a people that lived and made this place their consecrated home for thousands of years. To come to Joshua Tree is to nurture yourself. When you participate, you help us to remember the beauty of our family and our tribe. We have found this way to gather in an authentic, sacred way. We witness our collective flowering into understanding who we truly are. We can be a force for change and elevate the consciousness of the planet. Here, we re-invigorate that force. We realize we are not alone. We belong to a larger family that is moving and growing. Welcome to all who want to be in the fold. Some come for the music. Some come for the yoga. Some come to bow to the Guru at the Gurdwara. Some come for the companionship. Some come for all a of that. We all go away feeling this is good. This connection is who we are. This dwelling in the sacred is what we do. The more often we come together to do this, the more strength we create to continue this work. At Sat Nam Fest you can recognize that the other person is you. You can vibrate the cosmos. You can take a deep breath and exhale and smile. You can lift your eyes up to sun, to the moon, to the starts, and say “Thank you!” You can lift your heart up to meet every challenge of life. I love coming and sharing and teaching and being a part of this gathering. My heart fills with gratitude and warmth to see all the eyes that open wider and smiles that broaden when people are doing Kundalini Yoga together. It’s wonderful! Sat Nam Fest is a manifestation of the vision Yogi Bhajan saw when he came here in 1969, when no one knew about this practice. He knew. 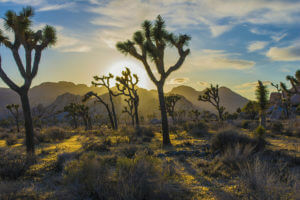 Now, this outburst of bliss and consciousness is showing up in different times and places in the world, especially at Joshua Tree in the beginning of April. I hope I see you there wherever you are and whoever you are. Please find a way to show up; show up for you. We’re together in this. Let’s connect. Sat Naam!